Do you feel you’re allowed to be who you are, to feel what you feel, to want what you want? If someone waved a magic wand and gave you full permission to be yourself, would anything in your life change? Unfortunately, some people don’t feel safe enough to be themselves (and some people truly aren’t safe – something I hope we’re collectively working to change). You may feel like you’ve been hiding and “playing small,” afraid to show your true colors. Today’s show can help you find the courage and the skills to share your real voice with the world. 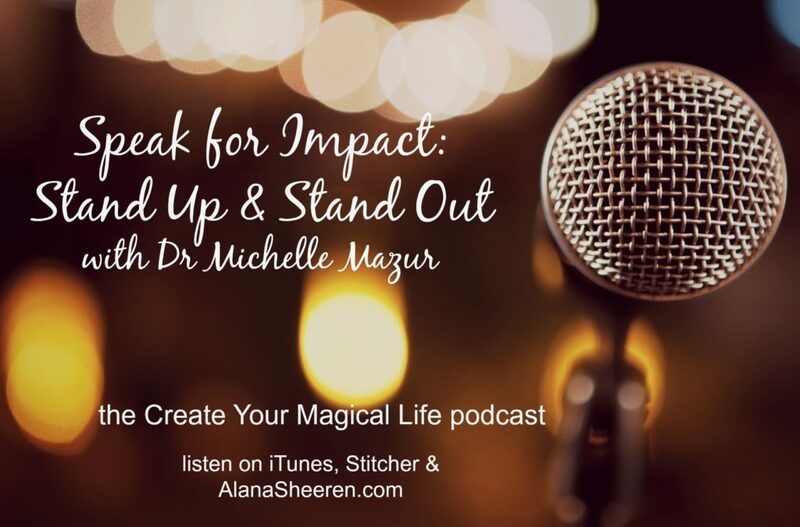 My guest is Dr. Michelle Mazur, a speech coach and the CEO of Communication Rebel. She specializes in taking those with something they want to say, helping them find their voice, and turning them into sought-after speakers. Michelle knows how to influence others through eloquent, persuasive speech. She has personally logged over 10,000 hours speaking to groups of all sizes, and teaching coaches, entrepreneurs, speakers, authors, and thought leaders how to ramp up their presentations. Her newest book is an Amazon bestseller titled Speak for Impact, and she’s also written Speak Up For Your Business. Do you want to make an impact and use your influence and persuasion for good? Join us now to learn more. Understanding persuasive speech: We ALL do it!